Which Money Making System Is Right For You? With so many money making opportunities available it can be difficult to choose the one that is right for your needs. The first thing you need to decide on is what you are actually looking for in an online business. Do you want to replace your current full-time job or business or just earn some extra retirement or rainy day money. It’s important to recognize your own needs so you can match opportunities to meet those needs the best. What you will be looking for will be different depending on what you’re after. There are various business models to consider, E-commerce, network marketing, affiliate marketing, among others. * How long has this system or program been operating? * Does it have potential for long-term profitability? * Who or what is the target audience? * How quickly will this system start bringing in an income? * What sort of profit could you expect to make with this program in the first six months? It’s best not to choose an opportunity because a friend, relative or co-worker has a successful website. Each person’s needs and expertise are different, so the right program will not be the same for every person. Once you assess your needs and what you have to achieve from a money making website you are ready to review the opportunities available out there. While you don’t have to choose an existing system, looking at what is available will help you select something you would like to do. It will also assist your assessment of what you need to learn or do to turn your idea of a highly profitable money making website that will help you meet your financial needs into a reality. Always remember that any business requires some hard work and a time commitment; if an advertised system promises you will make thousands of dollars almost overnight, then be very wary of it. Free Monthly Websites, in my opinion is one of those programs you either know what to do with or you don’t. I will now show you how you can get the most of it and why Free Monthly Websites is such great tool which can earn you an extra income stream to your business for a long time to come. When you first login and download your website follow the tutorials which is very easy to do and eventually get your website onto your webspace. You are presented with a very nice well designed Adsense website. What can you do with this free website? Well to be honest the free website has duplicate content so you can rule out getting to the top of the search engine rankings, the premier websites are a different kettle of fish all together but I will get to those in a moment. Now imagine you done this to all your eBooks! 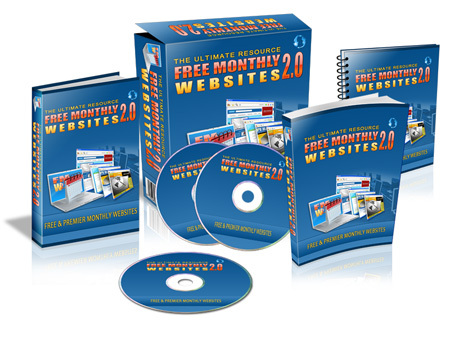 Simply take a little time upload your Free Monthly Websites website to your webspace then reopen your PLR eBooks and insert the relevant hyperlink which corresponds to your website and there you have it. For about 2 hours work you have created an income stream for life. Now imagine you have 50 PLR eBooks doing the rounds on eBay or your blog. Your AdSense revenue is going to creep up and up until you are earning a very respectable income. It’s a simple case of wash rinse repeat. And another income stream will start. The third option is a little different. Using your Free Monthly Websites affiliate link to promote the website and earn a potential $98.50 per referral. You can place your link in the websites provided for you and in the eBooks you sell and articles you write this can generate a missive earnings income of $98.50. So with your website up on your webspace and your eBook on eBay and your articles in the article directories, you will be well on your way to earning a nice income from a free resource. I mentioned earlier your Premier Members website. These are a fantastic resource and are worth every penny for the simple fact you receive a private label eBook and 20 articles with every Premier Membership website every month. 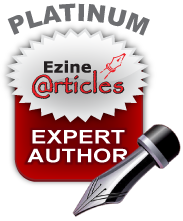 Not only can you use the eBooks and articles in the ways I have explained, you can key word optimize your website for the search engines, change the content and make your sites as original as you like. In other words you have full edit rights. So if you imagine directing a visitor to your Premier Website via an eBook or article, they will find a fully edited site with offers and affiliate links promotions, and even an Aweber signup box (which you can integrate with a little HTML knowledge) which in turn will create more revenue and more subscribers for you. My recommendations are if you have a few hours to spare get started with this and you will soon see a Google AdSense income. If you use the Premier Websites, you can place affiliate banners, Clickbank affiliate links and Aweber signup box on your site as well as edit all your own content via an easy edit control panel.. If you are going to move into this business, I recommend you take the Full Premier Websites Access! The economy is not being kind to retirees and those approaching retirement. I am a baby boomer myself and have given much thought to how to get the most out of what is already in place and how to get those extra dollars to stretch the budget. In my web browsing I found some useful info & have brought the links to you. Although you might invest some of your extra retirement money in mutual funds or ETFs that cater to big capitalization shares, you should try to include real estate investments…..
May I maintain a good revenue through my retirement? That's the worry of most retirees. Let's get a perspective on what you have to manage.Your. A lot of people avoid having a home based business for various reasons. Some do not wish to have the responsibility associated with one and others are just simply clueless on how or where to start. This article focuses on some help in getting you started with a home based business and getting you on your way to success. 1) Advertising is always the most important aspect of any business. Even if your business is not home based, you still spend a significant amount of money on advertising. Since a home based business does not have a store front or a public office where they can advertise themselves, you must invest money in getting the word out to the world about your company. Consider internet marketing as a way for your business to expand in the world as well as advertising in local newspapers, billboards, and newsletters. 2) It takes time to develop clientele and make a significant amount of money through any business and this is not any different when it comes to a home based business. It is important to keep in mind not to get discouraged because your first few months are tough. Every business out there started somehow and many of them did not grow to be an overnight success. Keep at your business regardless how bleak it may seem at first, and you will eventually build your own trusted clientele and following. 3) Consider what types of equipment you need to purchase to run your business even if it is just a new printer or computer. It is important to shop around for the cheapest prices possible and opt to purchase what you can second hand. Make sure what you need is something that you have budgeted for. 4) It is important to understand the different tax laws and regulations associated with your business. Some businesses need permits as well as tax forms filed before even starting. You need to have a basic idea of how taxes work before starting your business so you ensure you will not lose any money when it comes to filing your taxes for the next year. Many items you purchase to start your business are considered tax deductible and it is in your best interest to research as much as possible to save money. 5 ) Come up with your own business plan. The most important thing that you can do for your home based business is to come up with a one year plan and what you hope to accomplish in that time frame. Make sure that you keep notes and ideas separate from your actual home information. Reserve a space for yourself within your house where you can work by yourself undisturbed. If you treat your business with dedication and as an actual business, you will more likely succeed. Although starting up a home based business is a lot of responsibility and can be time consuming, you will find that the time will be worth it. Knowing what to do will provide you more success. It is important to take your time and plan things out and then take the plan and put it into action. How do you go about creating your eBooks and reports? With all the free reports available these days, I download and read a great deal of them. You know the type of reports I mean, standard format, single column, eBook title, basic contents page and body. It was a pleasant surprise to see something different. This eBook is from a guy called Daniel Sumner and naturally I was interested in finding out how his eBook differed from mine. His tag line for the eBook is Create Convert Cash-in! This had me impatient to know what he had to offer and discover what was so special about the eBook Cycle. To my pleasant surprise, this was no regular eBook; it was presented in a novel format, single column, basic contents but it was visually enticing, full of colour, graphics, tips hints and very cool formatting, so kept me reading. As I read, it was obvious that this was not a 10 minute quickie that you see so many of. There was time, effort and passion put into this mini masterpiece. It flowed nicely as I read, learning everything Daniel was writing and seeing the picture he was creating with his use of the images. I was learning a very important lesson in report writing in a very easy to learn way. Daniel engages you a lot as you progress, so you feel that you're getting to know him, like him and trust what he has to say. He lets you into his world and you feel grateful for the information he is providing, and at the same time encouraging you to get to work to create your own eBooks better than you have before. I'm very impressed with this eBook to say the least and will return to it when I create my next report or eBook. Its definitely one for the book shelf and future reference. But best of all, it's free. Yes FREE! You weren't expecting that, were you? But believe me; it's true! A 100% Free download for you today. I don't think I need to say more, so go experience it for yourself at: http://trishlikes.com/eBookCycle Give it a good read and please come back here and let me know what you thought of it. I would love to hear your comments!